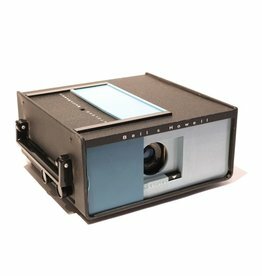 Bell & Howell Model 726 35mm Slide Projector. A classic piece of midcentury design, in black crinkle finish with three different shades of blue on sliding panels. Dates from the late 1950s, though we do not have an exact date for this item.